Why is figuring out the right price for Amazon products so challenging? Welcome to the new age of e-businesses where playing in a whole other ecosystem is the norm. Let’s face it, there are factors unique to the Amazon platform, including: The Buy Box feature, a higher number of competitors concentrated on one site and the fact that buyers can compare prices without searching beyond one listing, or conveniently find similar products all on page 1. This also means staying competitive on Amazon is no place for those with a set and forget mindset–especially when talking about product pricing. The plan to be the lowest price Seller, is a downward spiral with no longevity. Fortunately it no longer takes large corporations filled with MBA grads to run your Amazon business. But it does require some fast uphill learning, an abundance of flexibility, and a willingness to be adaptable. Again, especially when talking about product pricing. Retail pricing is filled with strategies based on the psychology of numbers and how they affect purchasing decisions. Yet, selling on Amazon squeezes the majority of those strategies down to a few options. For example, research has shown that the size of font used, or the physical price placement on a tag, or the wording just under the price; makes a substantial impact on the bottom line. With Amazon, none of those are even possible. That happens because determining the MSRP amount is at the discretion of the Seller, which means, it is completely arbitrary. Translation: Some discounts misrepresent the actual product value because of largely fabricated MSRPs. How some products display pricing differently is anyone’s guess, but MY guess is that it’s just a question of time before all products display only one Price. And from personally experience, I suspect that Sellers will not be notified before it occurs. Surprise! What I find interesting is that by not having a List or even a Was price with a slash indicator running through it, signifies Amazon is relying on customers to completely trust that they are indeed getting the best price. Amazon’s own pricing strategies have been to keep competitive products deeply discounted and less popular products at higher prices. Perhaps the assumptions is that buyers will believe they’re getting the best deals on every item without going offsite to say Wal-Mart. Okay, while the MSRP amount may have been a valuable factor in your pricing strategy; it’s time to surrender, maybe mourn a moment, move on and get ready for a one Price listing. Amazon could be doing Sellers a big favor by pushing us to focus on competitively sustainable pricing. While the basic goal is the same for every Seller: Increase sales and maximize profit; there isn’t one formula set in stone that works for everyone and every product. However, there are some effective tools that all Sellers can mixed in with their own experiences. First things first. What does Amazon say about Pricing? 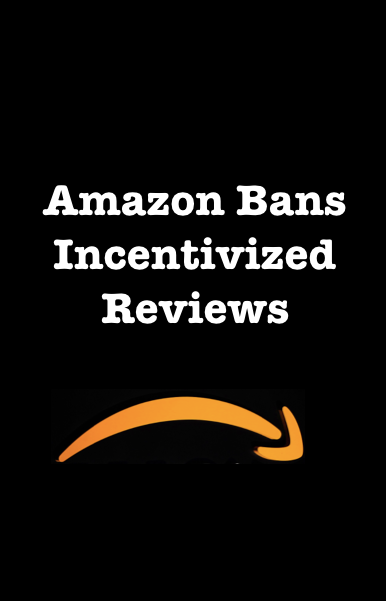 It’s really basic: You may list items at any price you feel is fair, regardless of the Amazon price or list price, within the limits set by Amazon, and so long as your price adheres to our General Pricing Rule. Now that that’s done…let’s move on. Since Price is one of the biggest levers on conversion rate, it’s important Sellers remember that low price/high volume isn’t the only game in town. It also doesn’t guarantee winning; especially long term. Some find it a race to the bottom and that is definitely not sustainable. The following are 5 wise tools to help you determine competitively sustainable FBA pricing. 1. Know Your Costs and Fees. There are other costs to include such as samples, packaging, your monthly Professional Seller plan, etc., but you get the idea. Putting these into a spreadsheet really helps when considering what profit margins should be and determining prices. If you need some assistance calculating markups and gross profit, click here for a free online calculator. 2. Monitor Your Competitors & Their Pricing History. Capturing historical pricing for a competitor, monitoring seller ranking and knowing who and how many competitors there are, all factor into calculating your own pricing. For competitors with similar products, find them via an organic product search. For competitors selling the exact same product, just look at everyone listed as a seller on the product page. Both can indicate supply and demand of any given product. While collecting this data can be a time consuming effort if done solo; staying on top of the changes is even more so. Find software that automates virtually (pun intended) everything. I personally use Sales Spy on ZonGuru so I’m biased. My disclaimer here is that I haven’t researched enough companies to recommend alternatives. Utilizing that information will vary Seller by Seller since it may be about getting rid of stagnant products versus launching new ones versus sharing the Buy Box rotation versus holiday or Prime Day tactics, versus products that have a short shelf life, etc. Each scenario creates different circumstances that are constantly shifting. However, knowing how many units top Sellers sold at one price and comparing it to sales volumes at another price is definitely pivotal. Examples of pricing include matching the #1 ranked merchant at any given time; or, setting the price slightly above the lowest FBA Seller; or, pricing at the average of the top 3 Sellers; or, slightly less than the first ranking competitor; or, running a promotion campaign. 3. Price Based on Perceived Value. If a product has been upgraded in manufacturing to high quality, packaged professionally and has earned Product Reviews or Seller Feedback mentioning how the product is worth the price, or is As Described; then don’t be afraid to use fluctuating premium pricing even if there are many similar, cheaper alternatives. In this case, consider setting your price at a whole number like $45.00 instead of $44.99, which is one of those psychological pricing methods to indicate it’s less expensive. Basically, Price appropriately. If a product is understood to be non-premium; then let your research and cost/fee analysis guide pricing decisions. And this would be a good place to use the traditional .99 cent rule to help the product look as low cost as possible. A common mistake Sellers make is to figure out all of the above, then set a price without ever testing it. This is a vital aspect of getting familiar with what works and don’t assume it’s the same for every product you sell. Test pricing strategies until you find what works best for your type of product. Select the strategy that proves to generate the most sales and profit during a designated time-period. Once you discover the most effective strategy, apply it consistently. That doesn’t mean no repricing though. Keep the pricing strategy fluid. At the same time, avoid making unnecessary adjustments as a panicked response. As you already know, Pricing on Amazon is never going to be a set it and forget it option. This dynamic marketplace is expanding and evolving rapidly. It doesn’t matter if you sell one sku or hundreds; altering your Prices could be an overwhelming task to stay on top of. While there are many software companies out there to help with this; Amazon currently offers a free automatic repricing tool. Auto pricing is a gift to any busy merchant. It adjusts your Price in response to other Seller’s changes. Since you set the ceiling and the bottom level parameters, then you’re always going to be making a profit; it’ll just comfortably fluctuate. You may be surprised to find that a larger number of units sold at your ceiling price. Amazon is such a huge playground; there’s room for everyone to participate. Each Seller has their own set of challenges and triumphs; but staying power can only be achieved when you’re running a profitable Amazon business. The key is to avoid thin profit margins so that you can manifest the success you’re dreaming of…and keep it going for a long time thereafter.